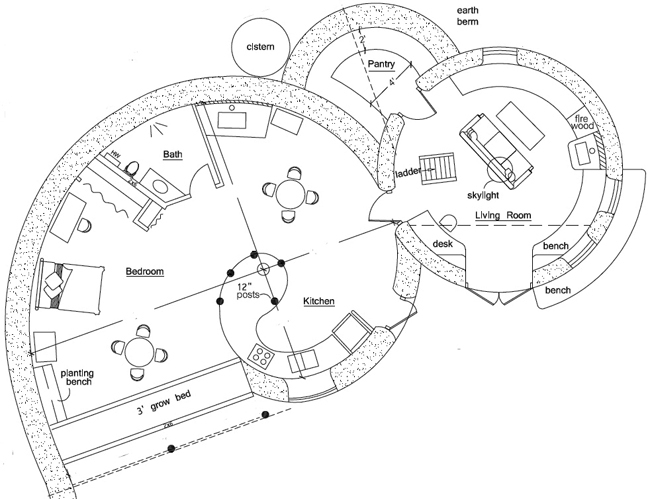 This highly unique home combines the Peace Dome and Spiral Houses, which are also available separately. But by combining them it really creates a truly exciting design. This unique, almost Hobbit-like earth-sheltered design includes a large grow bed, exposed timber ceiling and living roof. Ample light is provided by the window wall next to the grow bed, window and door glazing, and suntubes. Distinguishing features include two bedrooms, masonry two-way fireplace, covered porch and cool pantry for storage of food (no electricity required for refrigeration). 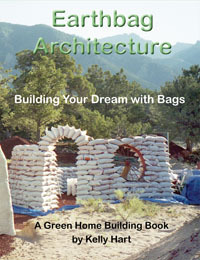 This home meets zero energy standards. 452 sq. ft. interior dome, 740 sq. 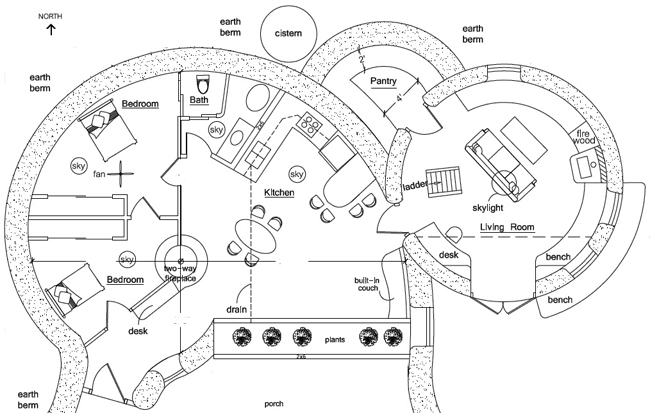 ft. interior spiral, plus pantry, 2 bedroom, 1 bath; footprint: 42' x 57' plus buttresses.